Here at Decks R Us, we know that your home and office are your biggest investments, and things you are passionate about. As you put time, money, and energy into your business or house, it’s important that you care for the exterior appropriately. A new deck or patio can increase the value of your Oshawa building quickly, and we are here to make sure it is done right. We have years of experience in hardscaping, and we are committed to using the right structures and products to accentuate your landscape. Put your exterior in the hands of the experts when it’s time to create your dream space. 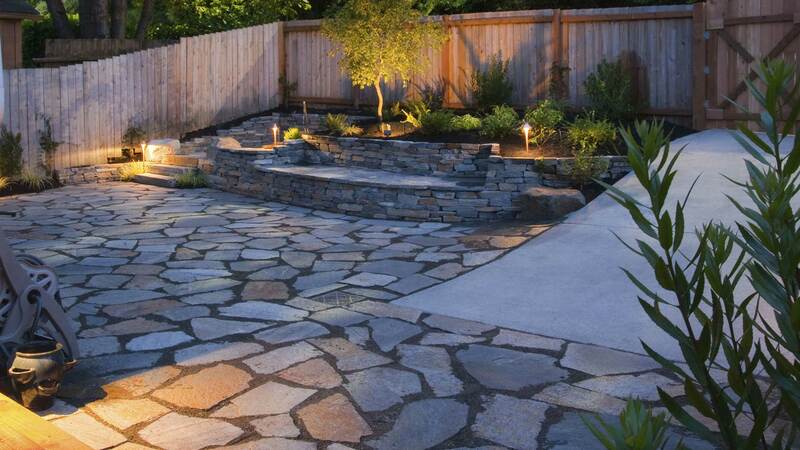 Hardscaping can include everything from fountains and fireplaces to sidewalks and patios, and is an essential part of any building’s exterior atmosphere. Here at Decks R Us, we know just how to design the space and choose the structures that go well with your building and the landscaping around it. We take into account your landscaping, and know how to deal with drainage issues to ensure that you don’t have problems in the future. We will balance your yard and all its elements to ensure that nothing looks out of place and the space flows naturally. We help you choose the right materials and add texture to every element to guarantee that it is aesthetically pleasing as well as functional. You can trust us to handle the hardscaping for your Oshawa home or office, and we won’t rest until you are satisfied with the job we’ve done. When it comes to hardscaping your Oshawa exterior, don’t take chances when we are here to help. We have years of design and installation experience to ensure that your choice to hire us was the right one. Call us today to speak to a friendly staff member about what we can do to improve your exterior, and increase the value of your home or office building.